The Men's Ajax Jacket from Montane has been expertly designed to ensure you stay dry and comfortable when out exploring in tricky conditions. An uncompromising winter mountaineering shell. 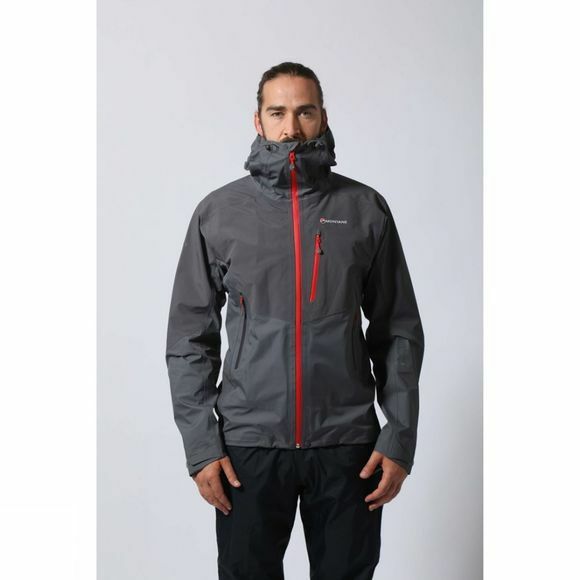 The GoreTex fabric ensures breathable wet weather protection that is durable yet lightweight. 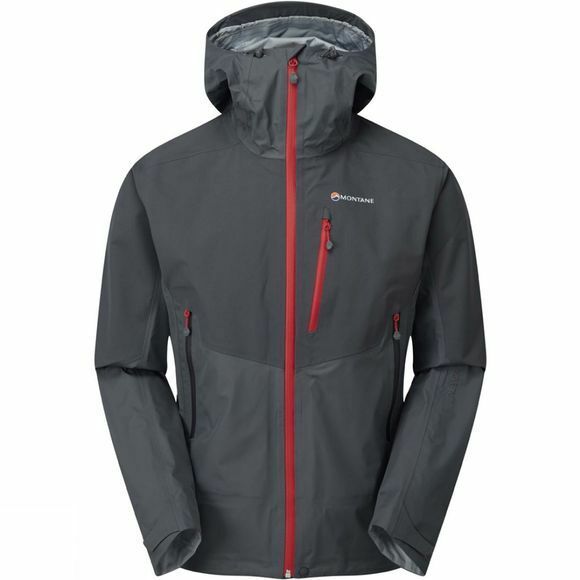 The use of the 70 denier fabric in high abrasion areas helps to keep the weight down without sacrificing performance while the use of YKK AquaGuard zips on the main zip and the pockets keeps the weather on the outside without requiring the need for often bulky storm flaps, once again keeping weight to a minimum. The hood of the jacket is helmet compatible and can be rolled away when not in use for convenience, but when the storms hit hard the high collar at the front helps to protect your face and the toggles can be cinched in to ensure your hood stays exactly where it needs to be at all times. The hem and cuffs can also be cinched in to reduce the chance of that sideways rain creeping inside your jacket.